Showing 9 articles from July 30, 2018. 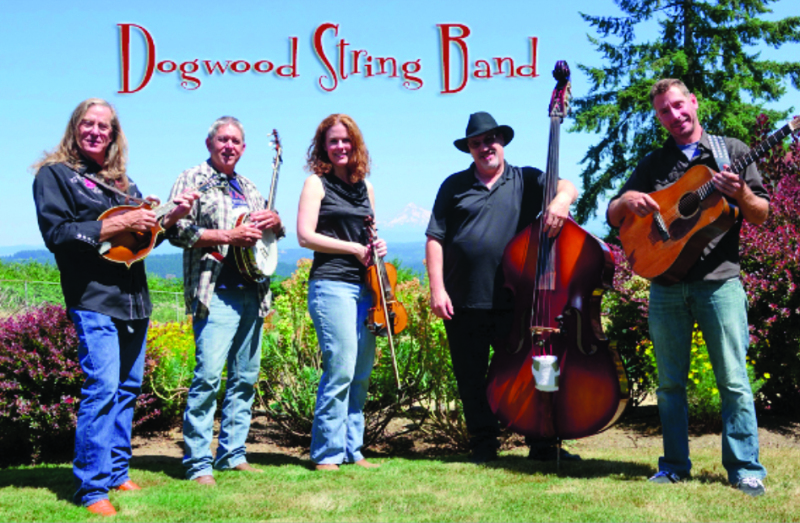 Dogwood String Band is just one of the acts performing during the Winlock Pickersfest. 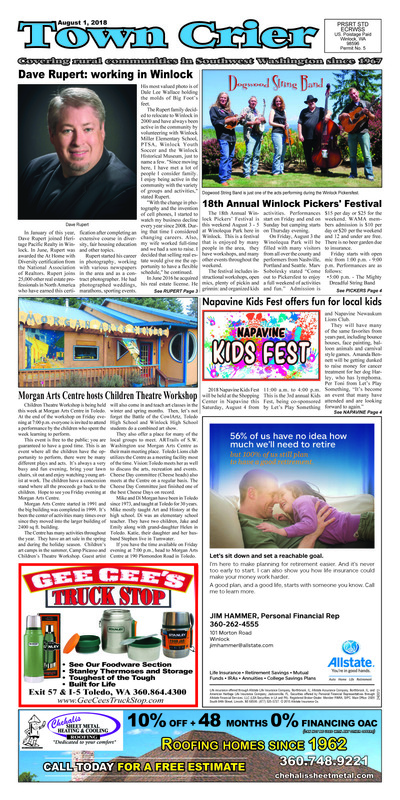 The 18th Annual Winlock Pickers' Festival is this weekend August 3 - 5 at Winolequa Park here in Winlock. 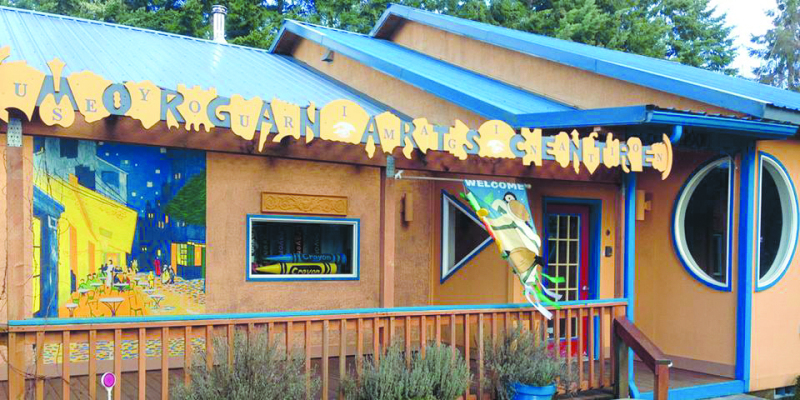 This is a festival that is enjoyed by many people in the area, they have workshops, and many other events throughout the weekend. 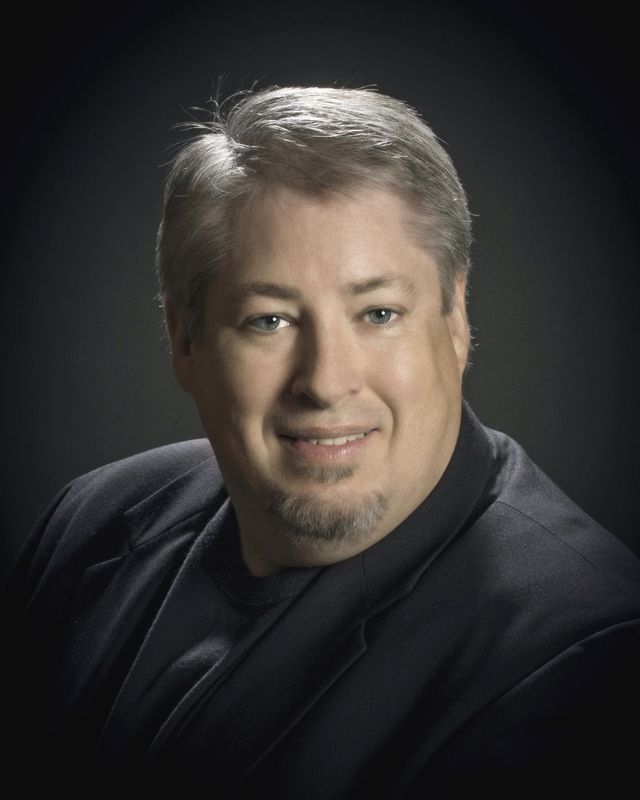 In January of this year, Dave Rupert joined Heritage Pacific Realty in Winlock. In June, Rupert was awarded the At Home with Diversity certification from the National Association of Realtors. Rupert joins 25,000 other real estate professionals in North America who have earned this certification after completing an extensive course in diversity, fair housing education and other topics. Rupert started his career in photography, working with various newspapers in the area and as a contract photographer. He had photographed weddings, marathons, sporting events. His most valued photo is of Dale Lee Wallace holding the molds of Big Foot's feet. Children Theatre Workshop is being held this week at Morgan Arts Centre in Toledo. At the end of the workshop on Friday evening at 7:00 p.m. everyone is invited to attend a performance by the children who spent the week learning to perform. Photo by Jeff Clemens - Destiny and daughter Chloe Clemens picking blueberries. They plan to make jam and blueberry pie. 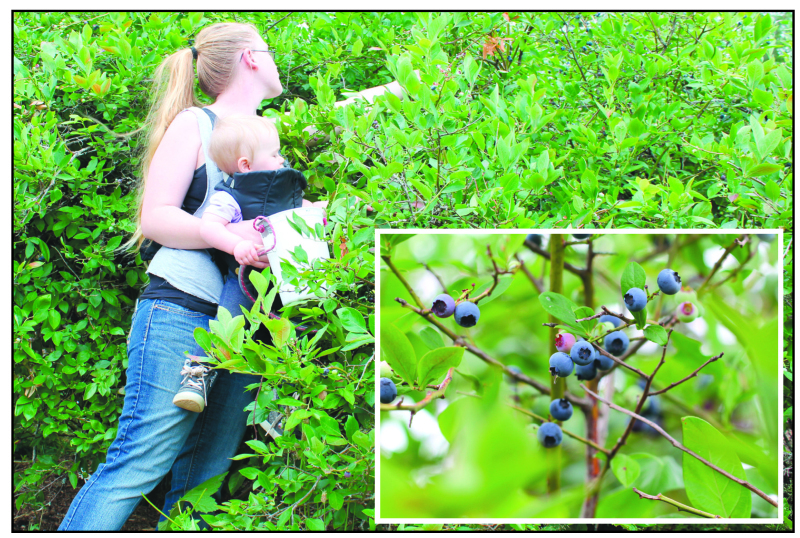 Smith Creek Blueberries has been the talk of the town for the last several weeks and it's no wonder as their blueberry season is at its prime. 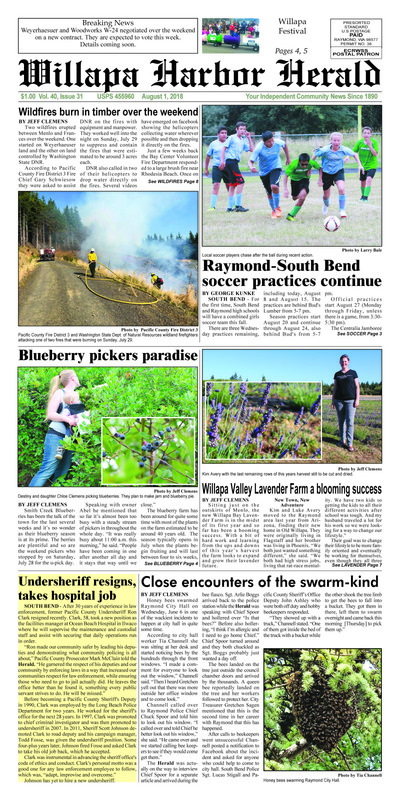 The berries are plentiful and so are the weekend pickers who stopped by on Saturday, July 28 for the u-pick day. 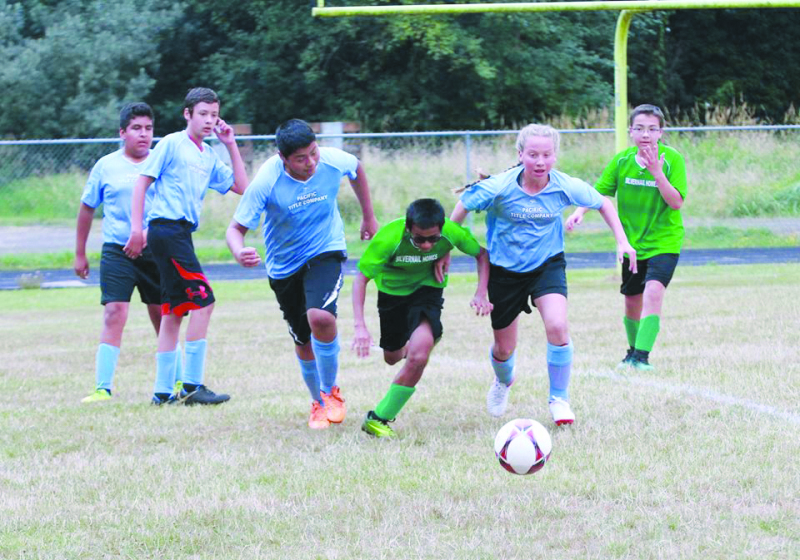 Photo by Larry Bale - Local soccer players chase after the ball during recent action. SOUTH BEND - For the first time, South Bend and Raymond high schools will have a combined girls soccer team this fall. There are three Wednesday practices remaining, including today, August 8 and August 15. The practices are behind Bud's Lumber from 5-7 pm. 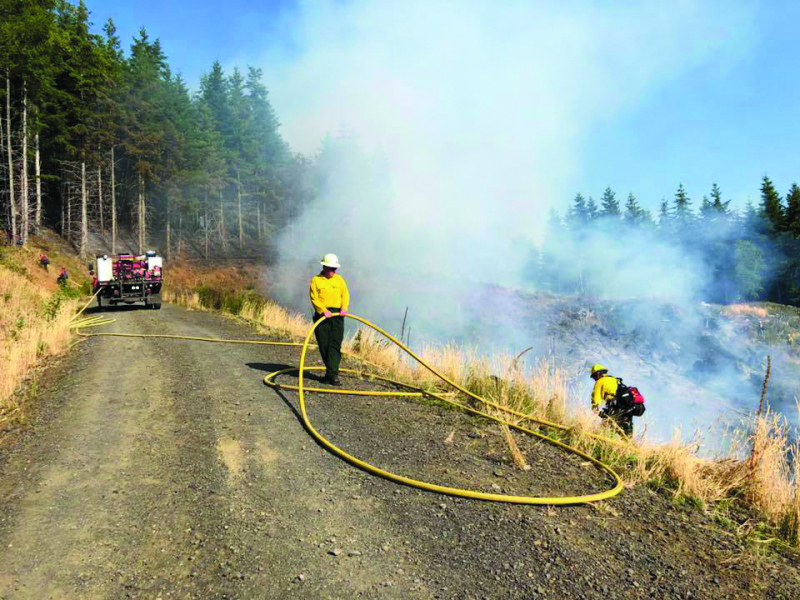 Photo by Pacific County Fire District 3 - Pacific County Fire District 3 and Washington State Dept. of Natural Resources wildland firefighters attacking one of two fires that were burning on Sunday, July 29. Two wildfires erupted between Menlo and Frances over the weekend. 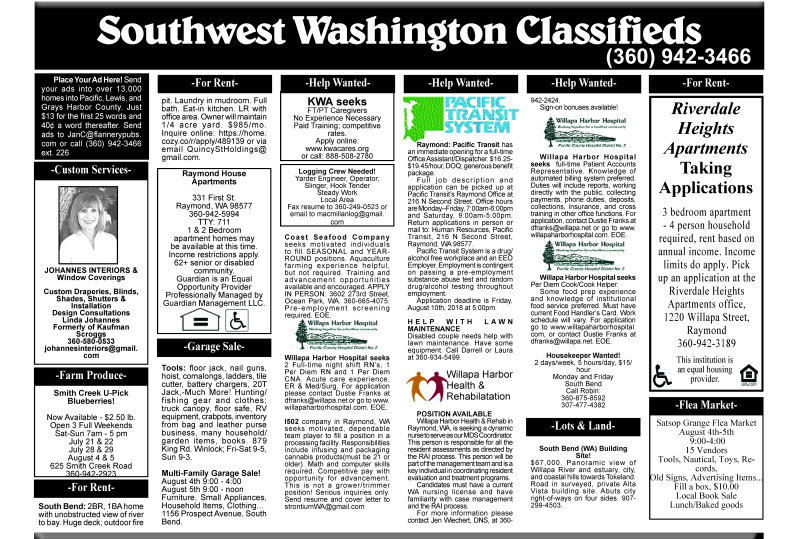 One started on Weyerhaeuser land and the other on land controlled by Washington State DNR. According to Pacific County Fire District 3 Fire Chief Gary Schwiesow they were asked to assist DNR on the fires with equipment and manpower. They worked well into the night on Sunday, July 29 to suppress and contain the fires that were estimated to be around 3 acres each.